Two things that help guide our R&D at PeopleDoc are the employee experience and HR agility. Two sides of the same coin, these are key drivers for getting results in HR Operations. In the September release, we’ve made some changes to the user experience that improve the employee experience and increase HR agility - which will help drive results for you. We’ve added a new screen when an employee completes a task. 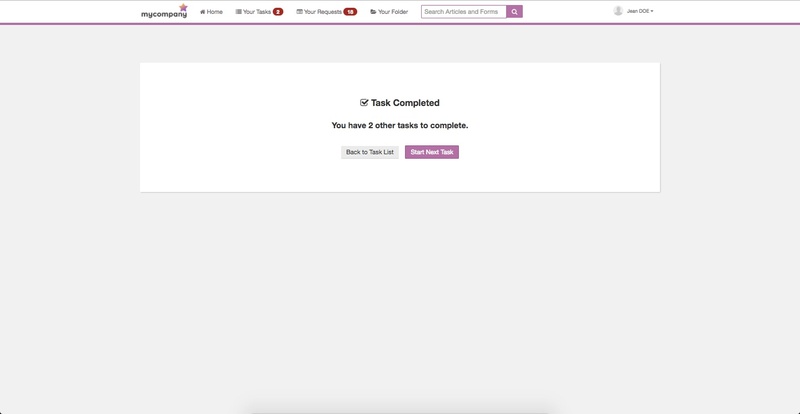 This screen lets the employee know that they have additional tasks to complete and allows them to start on the next task with one click. This new screen makes it easier for employees to complete tasks - meaning you will have higher process completion rates and happier employees. 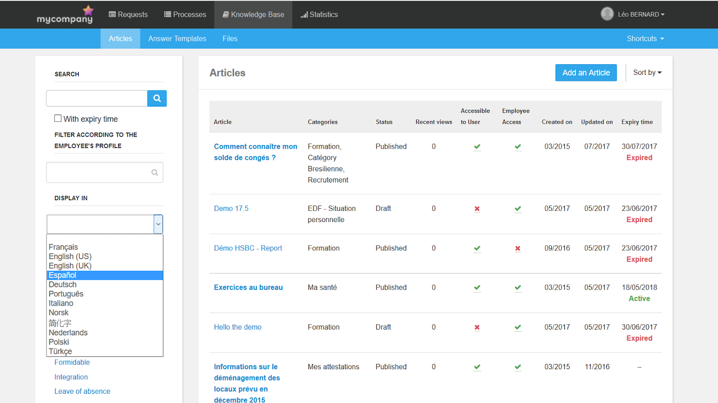 HR users now have the ability to filter articles and categories by language in the article management list. This makes it much easier for global teams to navigate and maintain articles. Additionally, answer templates are now displayed alphabetically, both when resolving requests and when managing the knowledge portal content. We’ve also moved up the language drop-down as well as alphabetized the list of tags. This will help HR users navigate answer templates much more quickly, resolving requests faster.